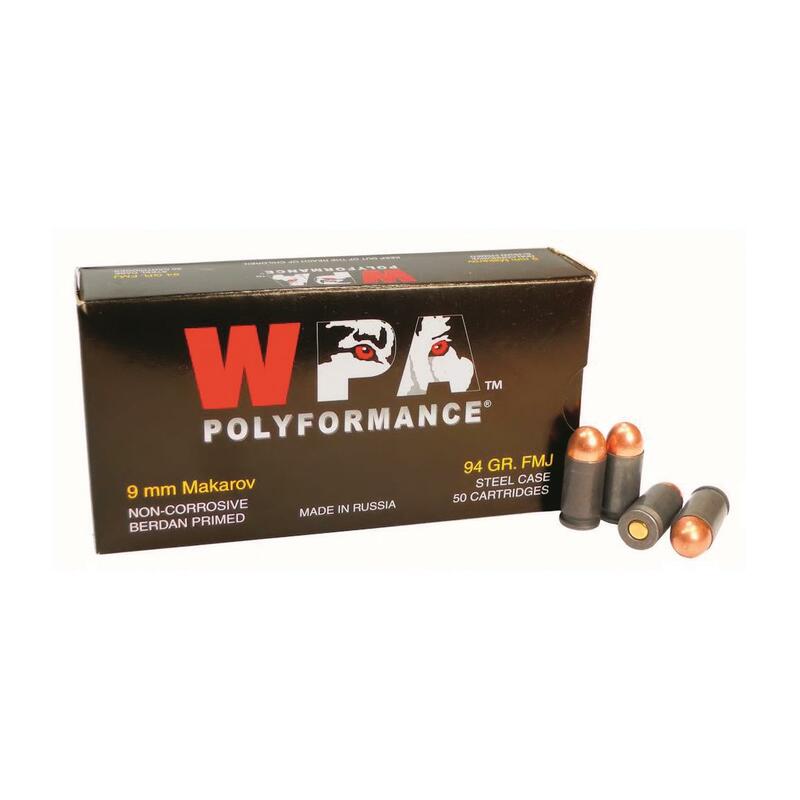 Wolf, 9x18mm Makarov, FMJ, 94 Grain, 500 Rounds is rated 4.2 out of 5 by 10. Rated 2 out of 5 by Matty1 from Banned From Range My local indoor gun range does not allow this ammo due to its steel core. Apparently, the steel causes damage to the range. I was able to fire the ammo at another location. The ammo performed fine in my Bulgarian Makarov. However, the ammo is very dirty. My hand and arm were covered with powder residue after firing. My next purchase will be a different brand. Rated 5 out of 5 by Elias from I am very pleased with the service I received from Sportsman's Guide.I was also surprised in how fast and neat they send the product. Rated 4 out of 5 by None from Fast Shipping! Good Price Ordered from another company the same day and got their shipment a week later. Rated 4 out of 5 by Ibmikey from Free meembership/ shipping I purchased steel case ammo for Russian pistol designed to accept this type of ammunition. Using promotions of free club membership and shipping made this purchase cost effective. I normally buy only brass cased ammo. Rated 5 out of 5 by Dan I Am from The Good Stuff!! Runs great through my CZ82 and Bulgarian Makarov. No problems whatsoever. As accurate as my ability to shoot these guns. 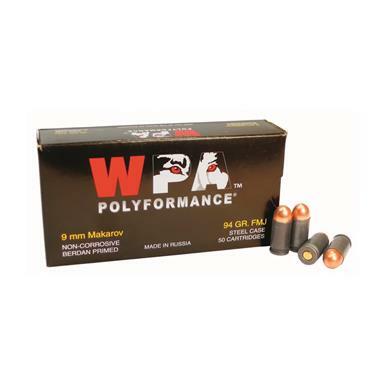 Rated 5 out of 5 by kywoody from Great ammo at a good price I have shot many rounds of WPA ammo thru many guns and have always been pleased.